Makenna Balkenbush, age 17, Sheridan, WY. ; Senior Pole Bending. 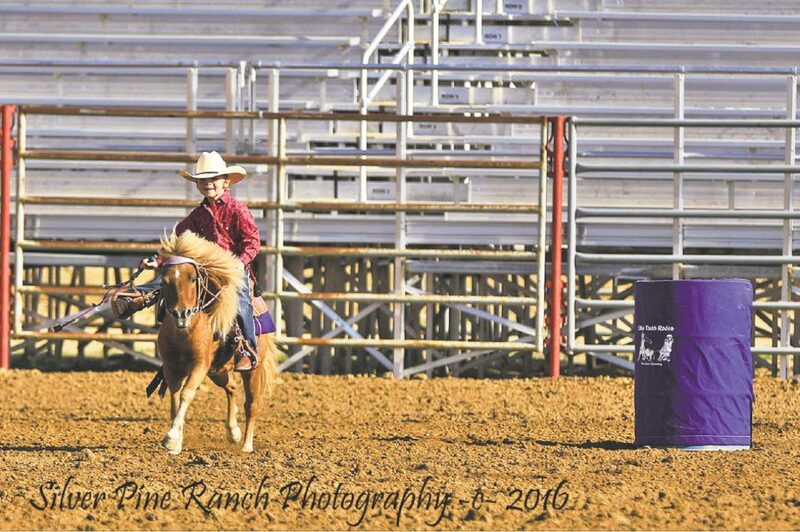 Jud Farella, age 7, Cheyenne, WY. 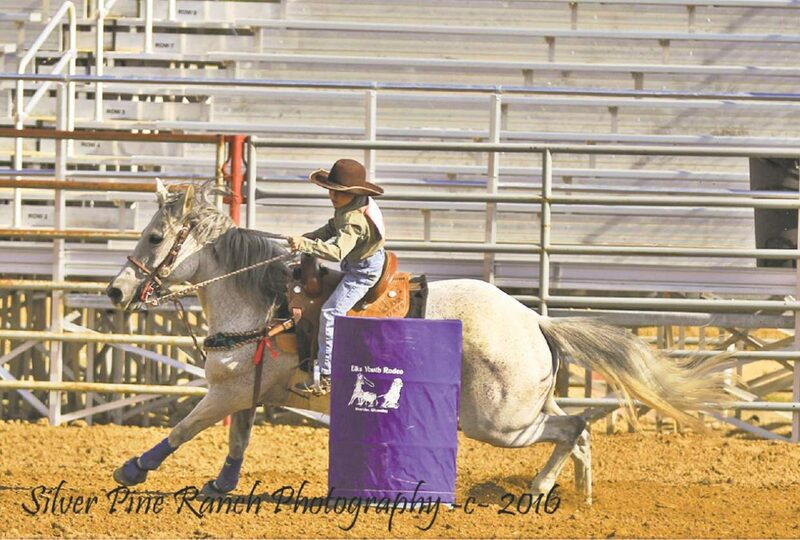 ; Junior Barrel Racer. 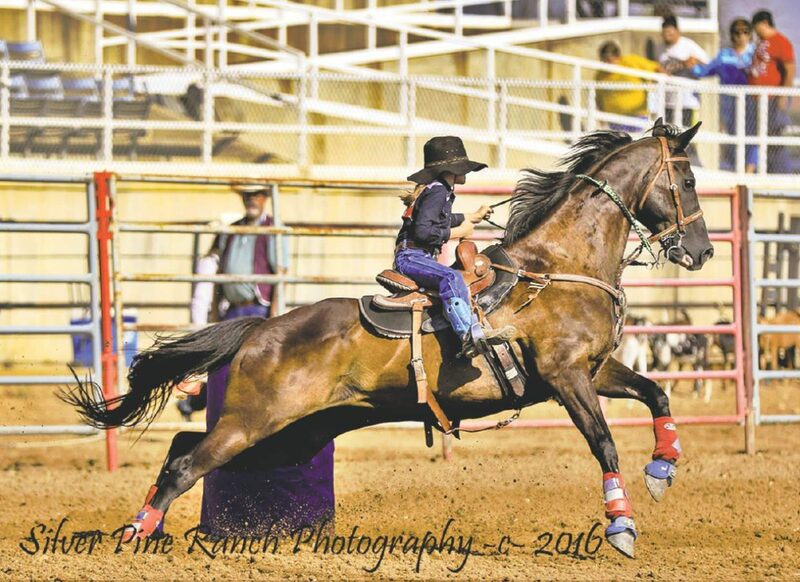 Hadley Pihl, age 12, Buffalo, SD. ; Intermediate Pole Bending . 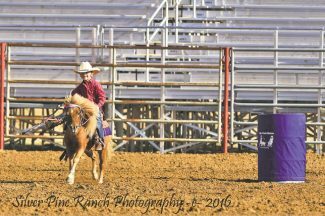 Emily Rice, age 5, Buffalo, WY, Pee Wee Barrel Racer. Tiernan Stanton, age 12, Newcastle, WY. 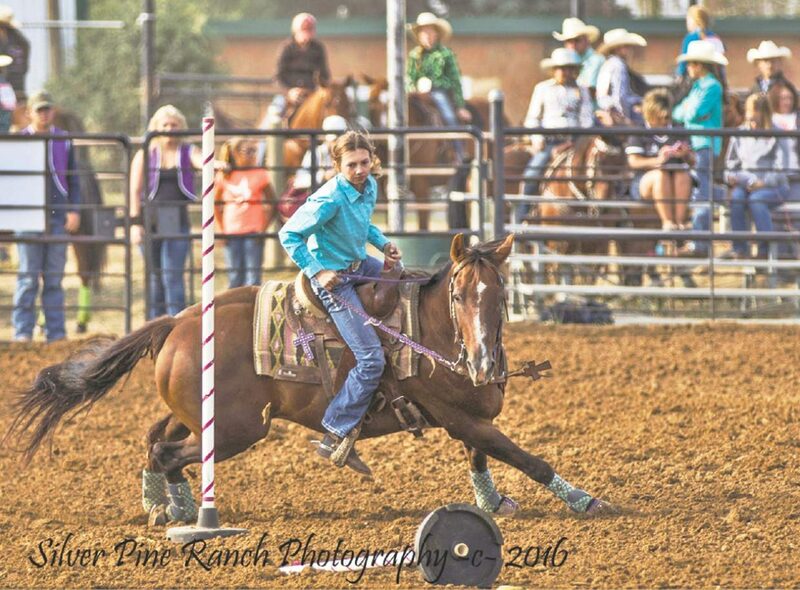 ; Intermediate Barrel Racer. Caitlin Moore, age 9, Wright, WY. 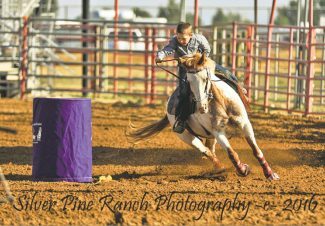 ; Juniorr Barrel Racer. 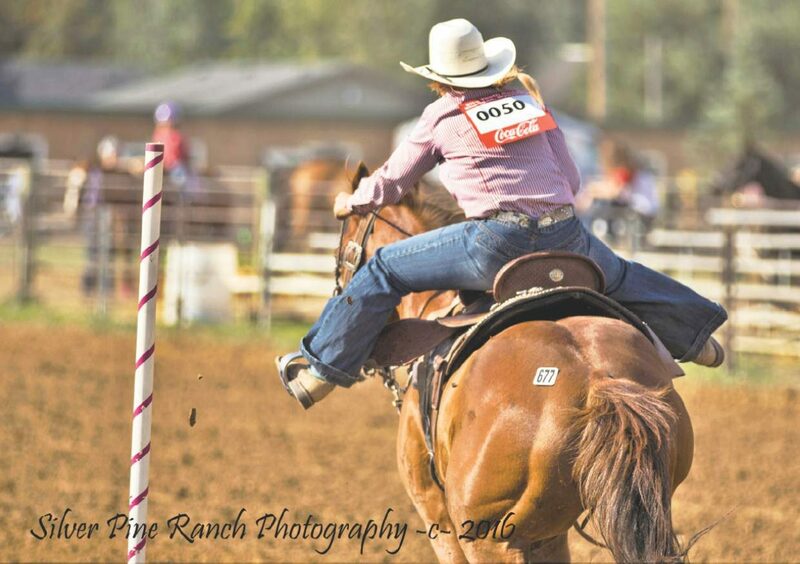 Michelle Williams, age 17, North Powder, Ore.; Senior Pole Bending. 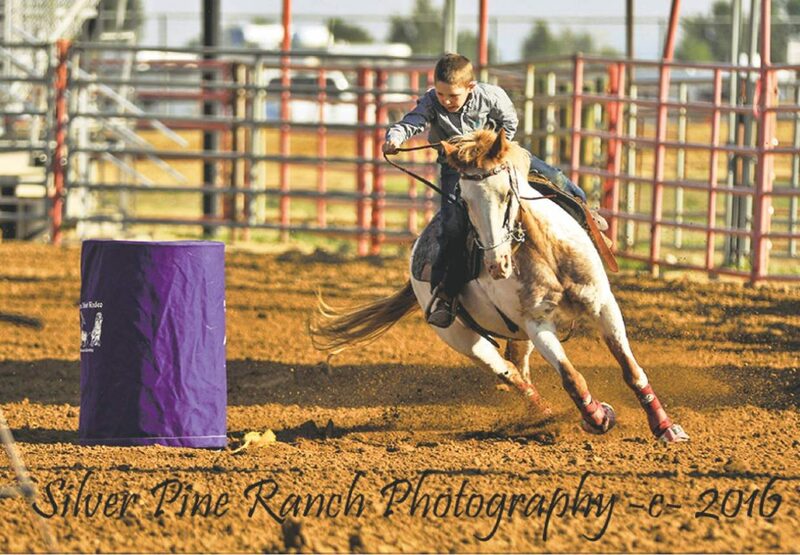 Turek Thompson, age 6, Pee Wee Barrel Racer. 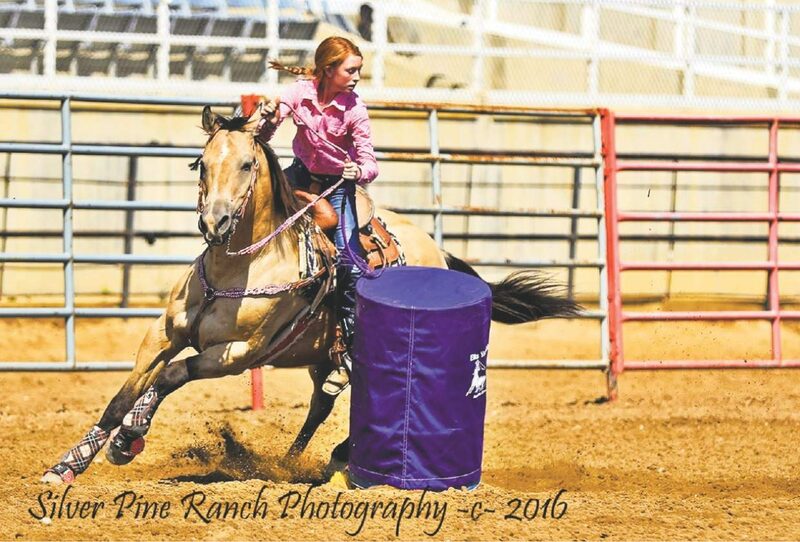 Shaya Beck, 13, Gillette, Wy. 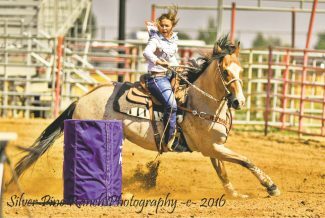 ; Intermediate Barrel Racer. The twenty fourth annual Sheridan, Wyoming, Elks' Youth Rodeo was held Aug. 28 and 29, 2016. 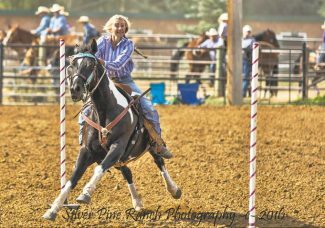 The rodeo's 26 events attracts contestants from Alberta, Oklahoma, Texas, Montana, Idaho, Washington, Oregon, North Dakota, Colorado, South Dakota, Nebraska, Nevada, Utah and Wyoming. Three arenas, running at the same time, were used to accommodate the 831 entrees each day. This was a hard two days with very skilled competitors. We were impressed with the contestants' attitudes and their commitment. Cash and awards of $71,988 were presented to contestants ages 17 and under. These consisted of cash and scholarships of $12,551 and awards valued at $59,437. Tanner McInerney, 16, from Alzada, Montana, won the Senior All Around, a one-year lease of a new Ford truck, provided by Fremont Motors, Sheridan. Tanner has been a contestant in this rodeo since he was a Pee Wee. 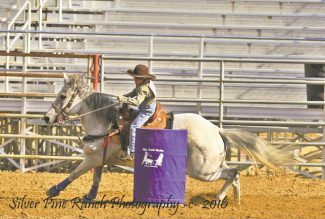 He has always been willing to help other contestants or our rodeo crew. The Elks are very proud of him and wish him the best in the future. 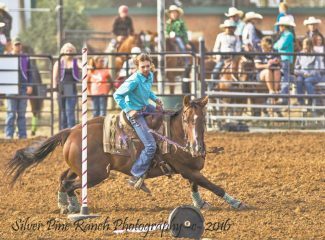 Haiden Thompson, 12, From Lusk, Wyoming, won the All Around Youth award, a Jackson three horse slant load trailer, provided by Prime Rate Motors, Sheridan. 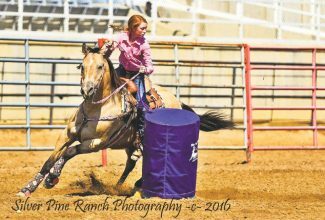 Tiersyn Grubb, 9, from Spearfish, South Dakota received a $2,000 scholarship as the All Around Youth Reserve Champion. The Senior Reserve Runner-up receiving a saddle was Kaden Lappe 17, From Dell, Montana. 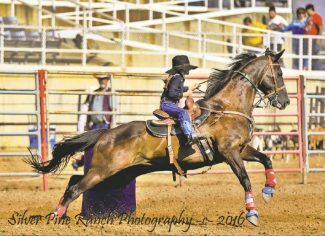 The saddle for the Intermediate All Around went to Haiden Thompson, 12, from Lusk, Wyoming. The saddle for the Junior All Around went to Tiersyn Grubb, 9, From Spearfish South Dakota, and the saddle for the pee wee all around went to Turek Thompson, 6, From Lusk, Wyoming. 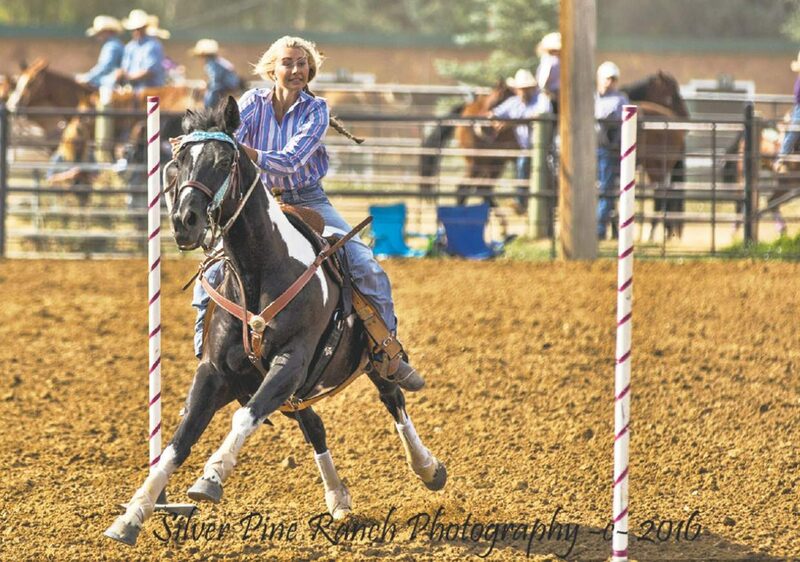 Senior, Samantha Kerns, Haines, Ore.